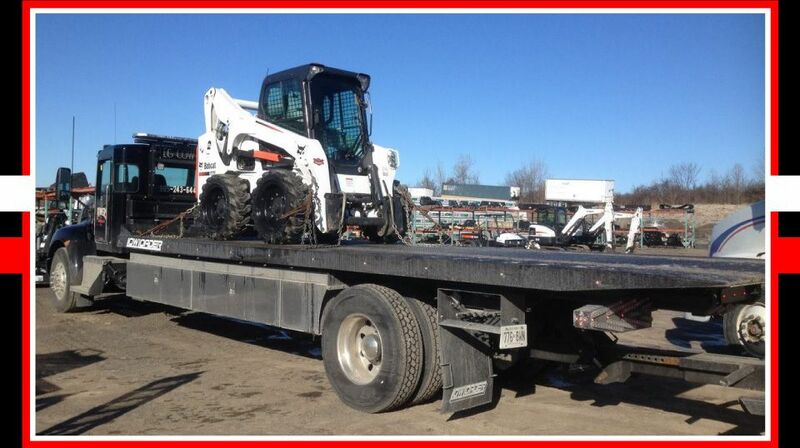 Construction Equipment Transport GTA | Transport Services | Powers Transport & Towing Inc. Some of the hardest things to transport in the construction industry are equipment, materials, and containers. That is why Powers Transport & Towing Inc. offers safe, reliable construction equipment transport in the Greater Toronto Area. With us, if it fits, it ships. We can move everything from construction materials to small buildings safely and efficiently. We can even safely transport ocean containers to the site of your choosing. We take on the projects that other companies cannot do. That is where we excel and our experience can make a major difference. For more information or to discuss what we can do for you please give us a call.